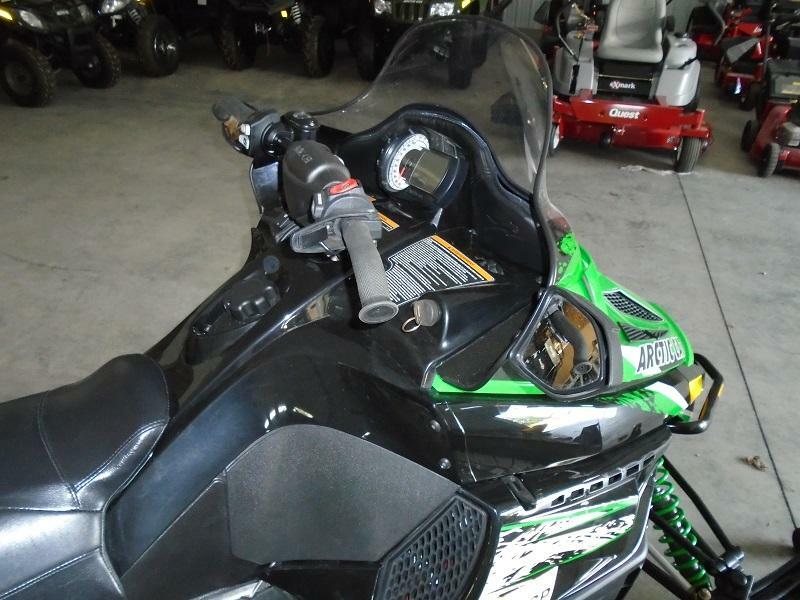 2010 Arctic Cat Z1 LXR 1100 4 Stroke Snowmobile Features Electric Start, Reverse, Gear Bags and more. Very clean and 3926 miles on this model. With great power comes a luxurious ride. 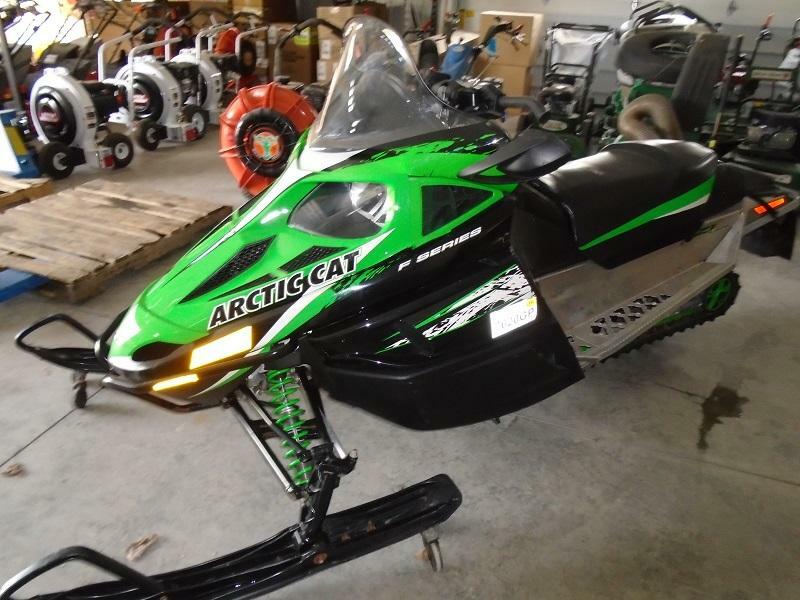 When a snowmobile is this full of features, you have to simply give in to its granduer. 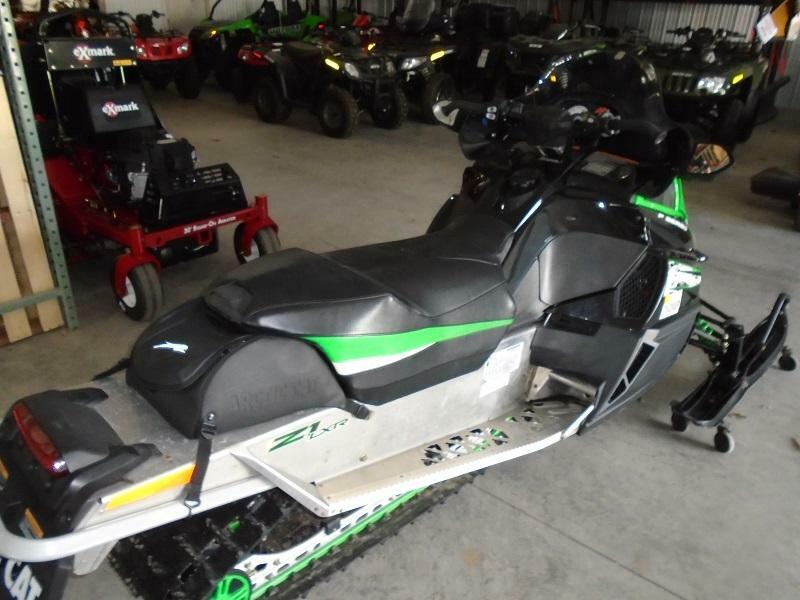 The Z1 LXR has a 4-stroke Z1 engine that is clean-burning with a massive 123 HP EFI. The ACT Diamond Direct Drive with push-button reverse allows lower clutch adjustment without sacrificing top speed. But the power isn't just under the hood. 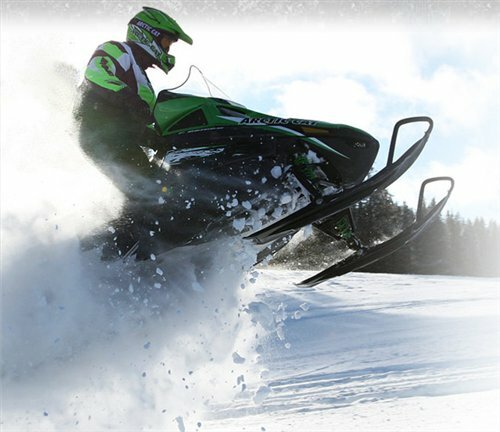 The Body-Saving Ride Technology of our Twin Spar chassis promises to make the time you spend on this sled more comfortable than any you've ever ridden. And when true comfort is concerned, our Infinite Rider Positioning gives you a myriad of adjustments to your ride before you hit that trail. The Z1 XLR is the perfect ride, giving you all the comfort you need without sacrificing the power you deserve. 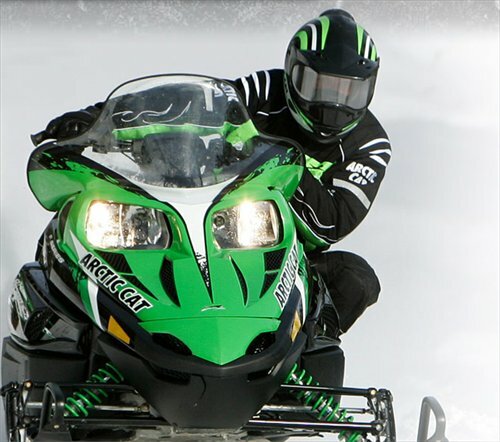 Slide-Action Rear Suspension™ - Straight from the Sno Pro® race sled. Slide-Action rear Suspension™ incorporates a U-shaped front arm slot that gits over a shaft bolted across the tunnel. This creates a half-inch of "sliding" movement, preventing the front arm from torque locking. Better still, it helps keep the skis planted during acceleration, all but eliminating ski lift when gassing it through the corners. 4-Stroke Z1 Turbo Engine - The 4-stroke, 1056cc Twin with electronic fuel injection was already perfect, but we added an inter-cooled turbocharger. The net effect is nothing short of jaw-dropping. 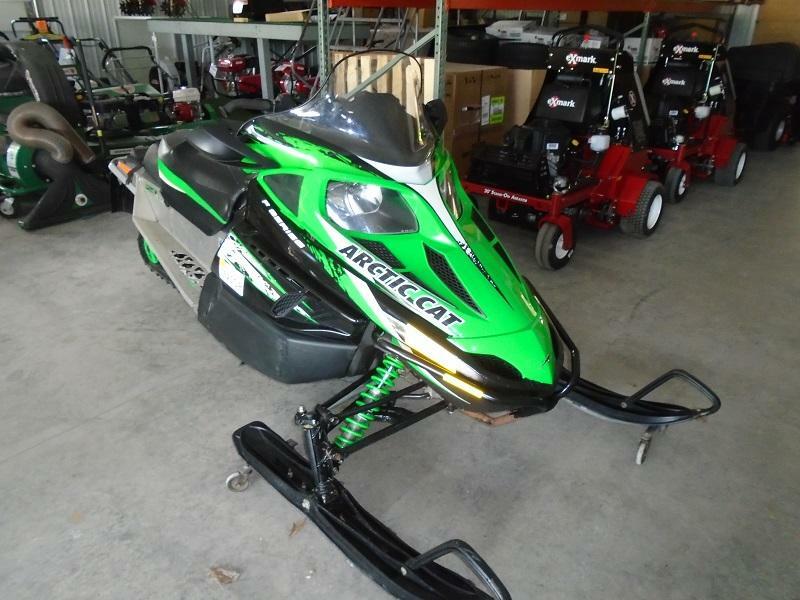 A reliable engine that wont lose power at high elevation. So if you want the highest horsepower in the industry, this is your engine. Twin Spar™ Chassis - Designed and manufactured to be incredibly rigid, the Twin Spar™ chassis employs two box-aluminum spars triangulated with the steering supports and tunnel spars. Self-piercing rivet construction ensures joint rigidity and long-lasting strength. The Twin Spar chassis places you in the perfect neutral riding position. With a taller seat and handlebar location, this position maximizes comfort and control in all riding conditions. ACT™ Diamond Direct Drive w/Reverse - The tough-as-nails ACT™ Diamond Direct Drive™ planetary gear case allows lower track speed at clutch engagement without sacrificing top speed. This means a smooth ride from start to finish and the added convenience of reverse with the push of a button. Infinite Rider Positioning™ - The adjustable seat, handlebar and footrests let you find your ideal riding position. Pair IRP™ with the Twin Spar™ chassis and you can fine-tune the riding position to maximize comfort and control in all riding conditions. Heated Seat - The heated driver seat comes standard. Flip a switch, sit back and enjoy the ride in comfort. 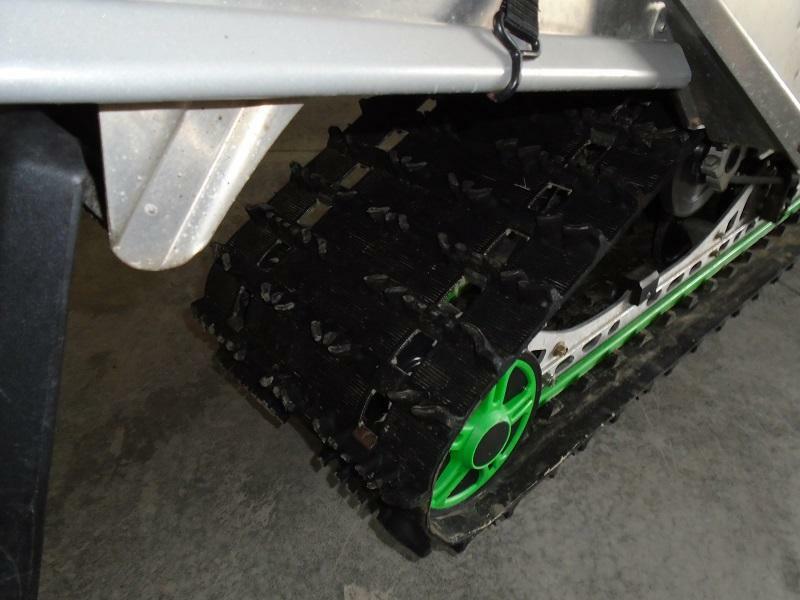 New Twin Spar™ Rear End - Our Twin Spar™ Chassis' rear end went throught a little modification. or beautification, whichever you prefer. We've removed the rear plastic trunk and added a new tunnel design. We also added a new LED taillight, snowflag and rear bumper. It's definetly one hot-looking chassis. 128" x 15" x 1.0"